Russian PM and presidential candidate Vladimir Putin says he wants the coming election campaign to be heated, as this will help to develop civil society, but asks the public to refrain from obscenities. 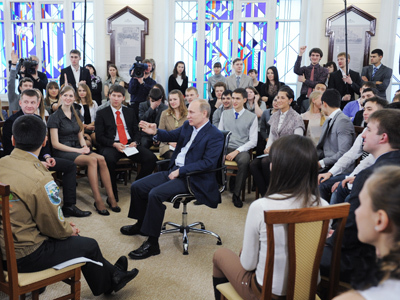 ­Putin was speaking before a group of students in the Siberian city of Tomsk on Wednesday. He said that he foresaw the current political tensions in the country, and considers them beneficial. “I have told you already and can say it again – previously, I decided not to change the main law [that currently allows Putin to run for president for a third, but non-consecutive term]. I knew that the pre-election passions would be boiling. 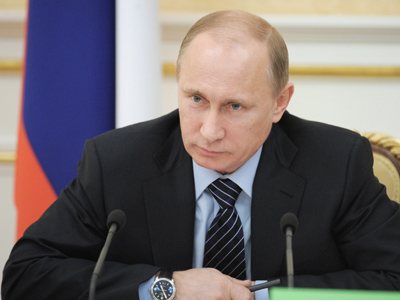 I did it consciously, I want civil society to get structured in our country,” Putin said. The Prime Minister added that he was aware of the sharp criticism to which he was subjected by some Internet users, noting that the students knew this as well, but that the process was positive nevertheless. “This is also a positive process. The main thing for us is not to violate the cultural code, to always use decent words, to keep everything within a civilized framework. 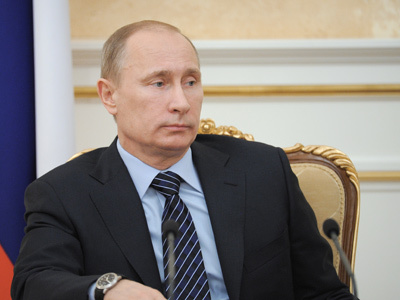 The fact that there is an unfolding discussion, a society which is becoming structured, is a good fact,” Putin said. Putin also called upon the younger generation to base their political choice on thoughts rather than emotions when voting at the municipal, regional and federal levels. Vladimir Putin told the students that Russia is now an open country with a market economy, and that regardless of any allegations that the political system could fall into a dictatorship, this will never happen. “We are a free country,” Putin stressed, reminding students that he himself supported a visa-free regime with the European Union. Putin is running for the presidency in the March 4 election as the candidate from the United Russia party and recently founded Popular Front. According to the latest public opinion polls, 52 per cent of Russian citizens support Putin. 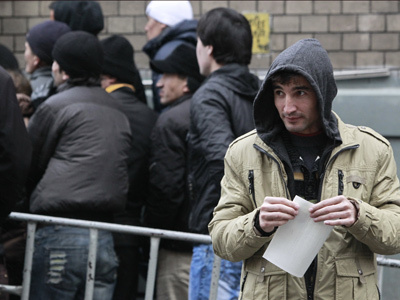 In order to win the election in the first round, Putin needs to win over 50 per cent of registered voters.